Very strange, providing updates for devices that are not available in Europe on Sony's European site. Does this mean the imminent release of the A series in Europe? Also noticed that it's for the full range, does that mean a 64Gb A series for Europe? If I buy the Asia Model, is there German as a language option? Could I install the Europe Update and get German as a option? The asian model from Singapore or Malaysia, should feature German for a language, if it does not, it should at least feature English as a backup. All previous international models featured all language options for the world. 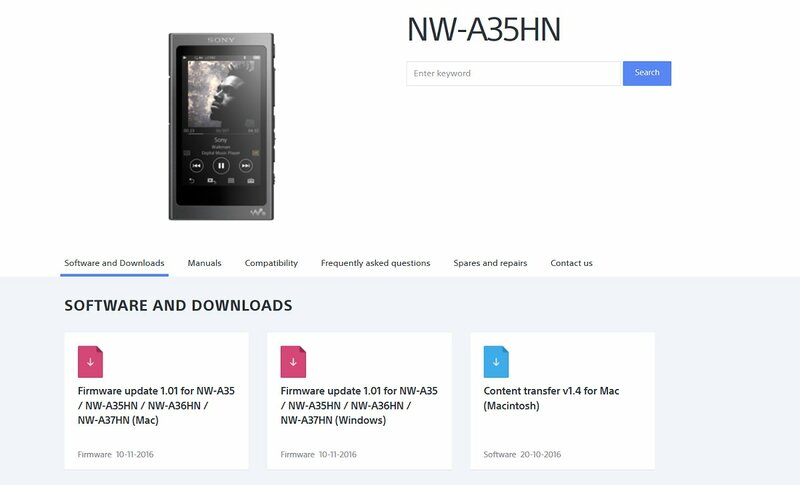 Hi The link to download the sony firmware from Asia doesn't work. If I was to put the European fireware on my Asian A36 player would it cap the volume ?